As with the previous three women in this little series, all nameless, but all with very beloved stories in the New Testament, I was curious about what might have been the bleeding woman's story. Some scholars believe the woman could have been Gentile, but in my book, Hopeless, I assume she was Jewish. The Levitical laws were clear and were followed in that culture, and embellished upon by the rabbis. A woman was considered unclean during her menstrual cycle, or any bloody discharge. She couldn't touch anyone or be touched; she couldn't be intimate with her husband; she couldn't care for her family. She'd spent all of her money seeking a cure, but to no avail. She was alone. Isolated. Bereft. She lived in the shadows. The woman probably suffered from some kind of female problem, such as ovarian cysts, or endometriosis, uterine cancer or benign uterine fibroid tumors--all problems which today can be corrected by modern medicine. However, at this period in history, there was no cure. The physical suffering must have been incredible, not to mention the emotional and psychological suffering. Her husband probably divorced her, but in thinking about this woman and what she suffered, I took a different approach. I asked myself some questions. Although the bleeding went on for twelve years, was it constant? Could it have been worse at times, and even perhaps have ceased at times? What if her husband loved her through those twelve years, never giving up on trying to find a cure? What if they were disobedient about no sexual relations during her illness and succumbed to passion of the moment, especially early on when they were younger? What if she encouraged him to divorce her and he wouldn't? What if she had a servant who cared for her? What if she became suicidal? Of course, we don't know the answers to these questions, but these are real life situations which I'm sure could have been. through the crowd, trying to reach the Savior, I began to cry. What faith it must have taken for her to make her way through sheer rejection amidst the whispers. I'm afraid we flippantly read through Bible stories without even trying to understand or empathize with the people involved. Of course, my story is fiction, based on historical fact, but perhaps it could have been ... ? 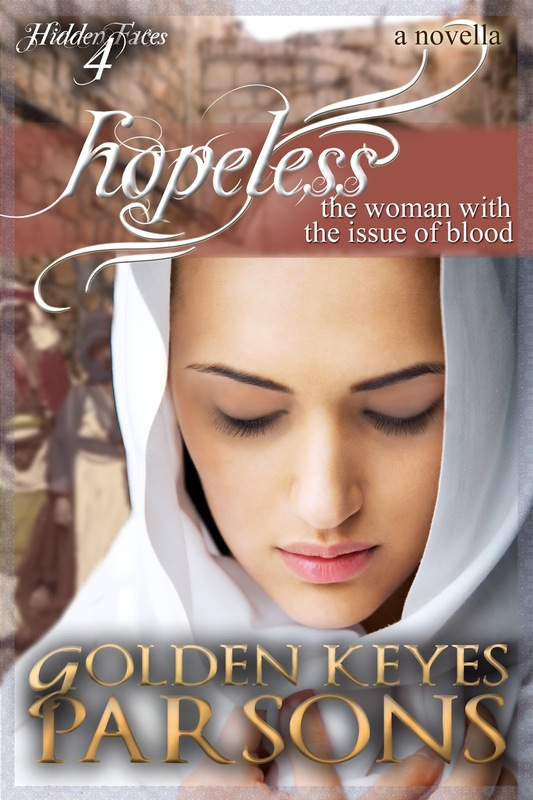 Leave a comment for a chance to win a copy of my biblical fiction, Hopeless, The Woman With The Issue of Blood. This book sounds very interesting. I don't think I remember that story. It's one of those stories in Scripture we tend to pass over, but when you delve into it, many intriguing issues pop up. Thanks for opting in! So glad you enjoyed Alone, The Woman At The Well. I think you would like Hopeless, The Woman With The Issue Of Blood, as well. By the way, all four novellas are in a compilation entitled, Hidden Faces: Portraits Of Nameless Women In Scripture. Your name will be submitted in the drawing. Blessings! It is a compelling story, isn't it? Thank you so much for joining in the discussion. Perhaps your name will be picked in the random drawing. Blessings! I love playing "What if ... ?" Fiction authors do that, you know :) But, of course, always doing our best to stay accurate to historical facts and biblical truth. It offers quite a challenge, but one I love facing. Thanks for joining in the discussion and the drawing! Wow! After you asked all of the questions and talked about her faith, I got goose bumps! Can't wait to read it! That's what an author loves to hear ... goose bumps! Yea!! Danielle, if you want to be entered in the drawing, please leave your email address. Blessings! Those are some very interesting questions. 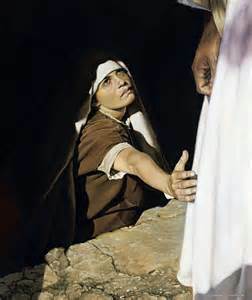 I always loved the part of that story when Jesus feels his power leave to heal her. That is so cool! Thanks for the giveaway. I would like to read Hopeless. Yes, it turns out there are many interesting aspects to these stories of the nameless women. Thanks so much for opting in! There were so many turns in these stories of nameless women. I led a Bible study using the compilation, Hidden Faces, and it was absolutely incredible what God did in that study. Thanks for joining in. Blessings! Golden, Thanks for giving names to the nameless women of the Bible and telling their stories so people will be more aware of them. We tend to think they're not important because their names aren't mentioned, but their stories made it into the most important book ever written, so I think we need to sit up and take notice. Thanks for your comment, Vickie. I can't wait to meet these women when I get to heaven and find out what their names really are! I'm grateful for their stories. Thanks for telling the stories of the women not mention in the bible. kamundsen44(at)yahoo(dot)com. And thank you for leaving a comment! You have a chance to win the giveaway! Biblical fiction is my favorite!! Thank you for introducing me to a new author and adding to my burgeoning TBR list. I'll do my best to remember to give this book a shout-out on #biblicalfictionfriday. If I win, I will post a review on my blog. That would be great, Amanda! I appreciate it so much. Your name will go in the hat for a chance at the giveaway. Great post, Golden. I so often wonder about these stories and the people involved. I want to know the "rest of the story." This is one of my favorites because Jesus felt her touch and knew it was different in a crowd of people as power left him and healed her. Yes, Martha,very often the rest of the story is the most interesting part. I love that woman and her bold and desperate act of faith. I grew to love each of these women as I delved into their stories. Thank you for the interesting post, Golden. This woman's faith was born out of desperation, and Jesus honored it. It's a precious story, and one I very much enjoyed researching. Thanks for joining the discussion! Great post, Golden, I really enjoy this series of nameless women of the Bible, too. Thank you for sharing. Thanks, Linda. I enjoyed writing the series as well!